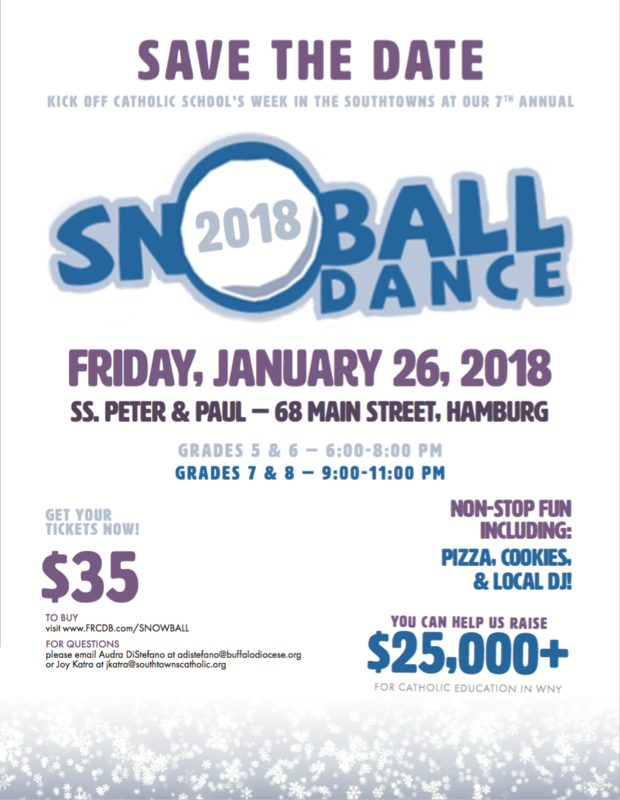 Kick off Catholic School’s Week in the Southtowns at our 7th annual Snowball Dance - a fundraiser where students support students, raising over $25,000 for Catholic educations scholarships in WNY. Two Dances in 1 Night! Both events will feature non-stop fun including pizza, cookies, and a live DJ!